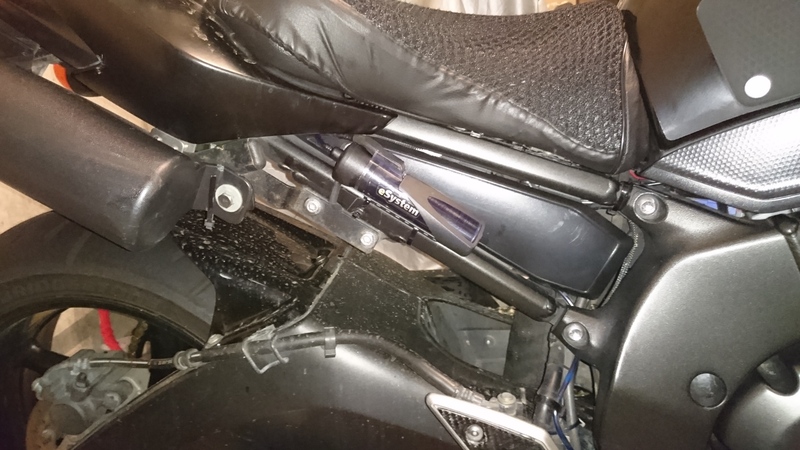 Having been through 4 chains in 120,000km before switching to the 520 chain on the FZ1, I’d endured some trials and tribulations of chain maintenance and in the process gained some understanding of what was and wasn’t working. Mostly, it wasn’t working. Starting out with spay on yamilube which worked well but didn’t last long, I tried many off the shelf products both cheap and expensive and inevitably some rather controversial solutions such as dry-carbon, motor-oil and wd40, all of which failed the long distance touring test. Incidentally, a long distance touring test is a days riding of either 600+km of often dusty backroad twisties or 1000+km of highspeed expressway hauling. 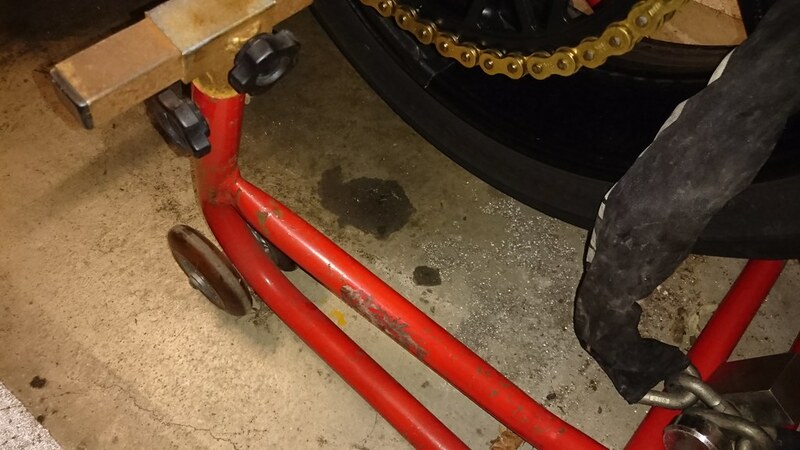 After a near endless search, I finally settled on Kure Super Chain Saver which stayed on the chain, kept the chain quiet, survived rain, didn’t attract too much dirt or accumulate gunk and hung around on the chain for long periods between lubes. Great on the long distance touring challenge. But, relatively minor as it was, it still had fling even though I applied it on a hot chain at the end of every lengthy ride as advised. And the molybdenum component which lubricated and stuck so well worked the same on hands or clothes unfortunately. Also, from an aesthetic point of view, it left a grey sheen to the chain which kept it from ever looking clean and well kept. But as chain saver, it was the best of the bunch. After trying so many canned solutions, it was time to try a different approach! Considering the above, I decided to give an automated chain oiler a try. Could be the next step! Due to them being around for a loooong time and with good online reviews, I went for the Scottoiler. Basically, it seep-feeds oil to the rear sprocket where it is forced out onto the chain under centrifugal force. The feed is electronically controlled and manually adjustable via a lit control panel which is to be mounted in an easily seen and accessible area. 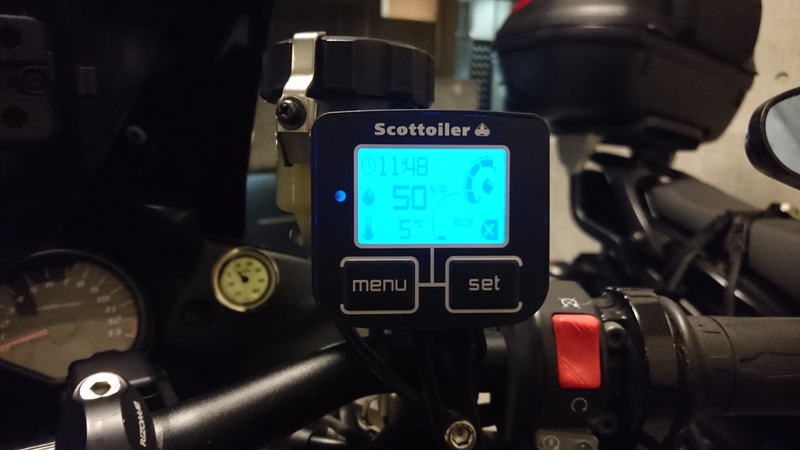 Using a 3-axis accelerometer, it senses the vibration of the bike running and wakes from sleep illuminating the screen and then sensing motion it begins the feed. Previous units required connections to vacuum lines to achieve feed and had no on-the-fly adjustability. Installation was straightforward and made easy with ALL required parts in the box including oil line retention clips to keep the line flush and stealthy with attachment surfaces. Priming the oil took a while but went to plan as the supplied blue lubricant crawled its way down the feed line. I’ve had it out on several rides for a total of just over 600km on a variety of riding from highspeed to tight dusty backroads. It has kept the chain rollers shiny and clean and not missed a beat. It did weep from the sprocket feeder after the first three rides leaving a smaller drip pool each time. Since the fourth ride, there’s been no sign of the weep. The whole system seems well thought out and put together and has hung together looking the same as when installed. 4000km UPDATE: Still working great. 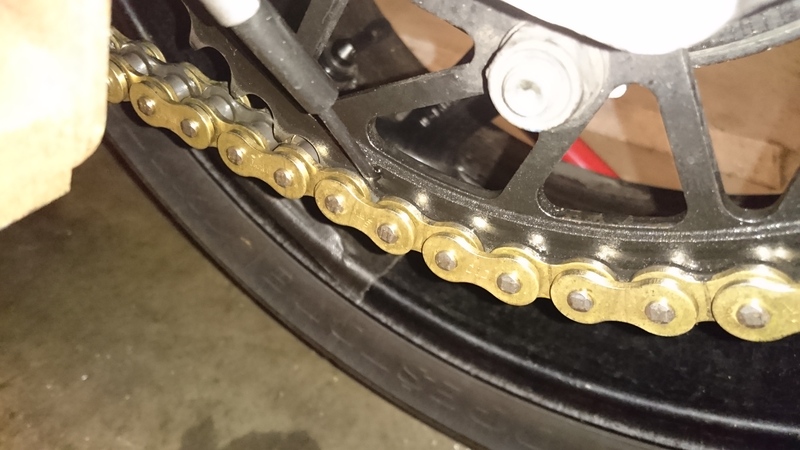 Chain is always looking lubed, no tight or stretch spots to report yet and chain stretch has also been very minor. I only needed to draw the axle back once since new and only around 3mm. It also looks good and an added bonus is the chain stays quiet No dry rattles. Protect the chain? – So far, so good. Stays on the chain? – So far, so good. Resists accumulating dust or gunk? – So far, so good. Requires minimum maintenance? – Zero so far. But will require topping up every 2-3,000km. Keeps the chain looking good? – So far, so good. Is inexpensive? – Well, after the initial investment, it should prove cheaper to run with long intervals between applications and relatively simple-cheap lube for refills. So, I’m giving this a big thumbs up for now and will revisit the review at 10,000km with updates after putting to the test on further touring challenges. The feeder set between 6 and 7 o’clock on the sprocket as instructed. Side-mounted the reservoir out of the way under the seat for easy refilling and fed the line for the breather into a dead-space in the rear cowling. Big glove friendly buttons for on the fly operation. Angled the screen at 90deg so the bright blue wouldn’t blind at night. March 13, 2016 in FZ1, Reviews.